365 Days With A Food Allergy: Living Organic - the answer for food allergies! Living Organic - the answer for food allergies! the answer for living safely with Food Allergies! We live in a world where everyone's in a hurry, focused on themselves, and food conveniences are valued more than food knowledge and quality. That is just not the case for food allergy families, so in many ways, it's ideologically isolating. For us, peace comes with thinking things through, taking our time, thinking of others (especially how they can affect our wellbeing through food), and learning to "accept the things we cannot change" AND changing the things we can! 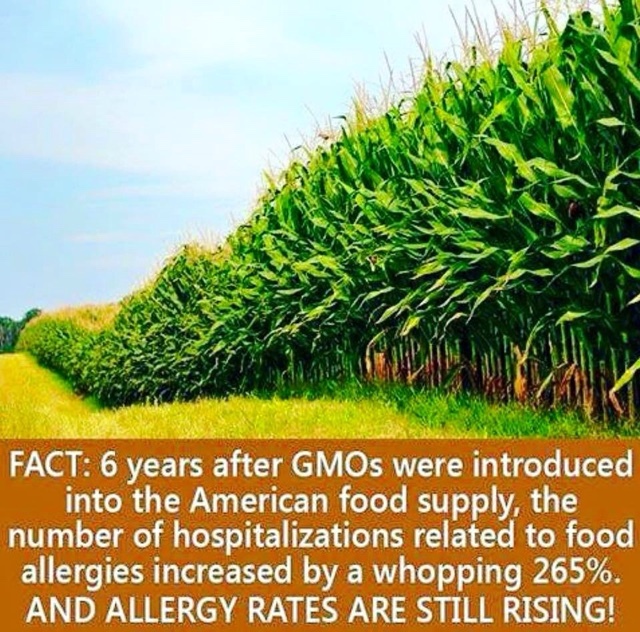 My daughter's severe allergy has, for me, highlighted the fractures in our food supply from farming, growing and agriculture to transparency in manufacturing, forthright labeling; the platforms used in marketing to the masses, then finally distribution.The whole entire process opens food brands up to a nightmare of red flags, cross contamination, and lack of knowledge throughout these processes regarding food allergy safety. The people along this process should be educated! Trying to comb your way through this existing system is a lot to handle, on top of everyday universal mommy issues. That's why going back to the basics is healthier, safe, and creates food consciousness in our growing generation. I always tell my girls "someday you'll thank me for this level of consciousness." It's baffling that, to some, our (food allergy family's) extended knowledge of food quality and ingredients, prompt a negative reaction from the people we educate. Society places such an immense and oblivious trust in the conveniences they enjoy with food, without considering the dangers hiding behind an entire smoke screen and agenda of mass profit, and intentionally misleading labeling. It's like we're the bad guys for calling it- not the system. We NEED to hear the truth, the whole truth and nothing but the truth! The currently growing, 15 million Americans is cause enough. Nothing we need to know should be allowed to be left off of a label. Through Hello Mamas (www.hello mamas.com), I've been able to find other health-conscious moms who care about what they feed their kids. Just as we're teaching manners, responsibility, self respect and repect for other people and our environment, we also need to teach our kids how to eat properly. Our unique understanding and experience as food allergy parents, connect all of us universally to those living similar roles and lifestyle within the food allergy and health conscious realm. We read everything, know the practices of the factories of brands we buy, and work diligently not to consume, touch, or breathe any milk proteins (or other relevant food allergens). Along with, and connected to avoiding food allergens, I've also learned to avoid chemicals/ dyes/pesticides and GMO's over 2 years ago from an incredibly intelligent Doctor who wrote "the 4-A Epidemic: Healing for Kids with Autism, ADHD, Asthma, and Allergies" , this book changed my life and made me really understand what's happening on the inside when you're living with anaphylaxis. Thank you Dr. Cannizzaro! Back in the college, I took a business sociology course and as our final we had to write a research paper. Mine was titled "Food: The Universal Connection to Humanity." At the time, my thesis was how food transcends language barriers and cultural divisions. Relating food as a basic human need that elevates the symbolism and power of how "breaking bread" with others can establish a relationship at a deeper level than learning the language or customs. In hindsight, it's so ironic it's laughable. It's ironic that I chose to focus on the food relationship and that, even before it was apparently relevant to me personally and to all of us now socially, I was researching and preparing for a deep understanding of the power of food; its relationship to emotions, and its relationship to divisions. It's these "ah-ha" moments that make you understand how your whole life has led you to where you are today, down to this very second. We began our parenting journey already in the role of a food allergy parents, my daughter was born allergic to milk. It has shaped our whole parenting style, each other's roles, and our expectations in each other, as well as the people in our world. We quickly and anxiously needed to learn what to avoid, managing a milk allergy early on through our own research. We did this on our own accord, finding little resources back in 2009. We found no one informed well enough about today's milk allergy to offer a blue print or exact science for avoidance. We needed to learn of all the hidden ways milk is present in the world around us (that our society isn't commonly aware of). The doctors diagnoses was a simple and straight forward "avoid milk" warning "or else"!!! Then, one day, after the birth of our Non profit: Food Allergy Resources & Mentoring (FARM) www.fa-resources.org, we met a Doctor on a radio promo tour while advertising our FA advocacy campaign. He was the first doctor to tell us what we COULD do to help our daughters well-being, more than just avoidance. The FIRST person! To paraphrase him, he said that close to 80% of our immune systems are in our guts. Those affected with food allergies (among other conditions) have a disconnect in their digestive tract, which is essentially not functioning properly with an overreaction and development of IGE attacks. This makes their bodies hold onto toxins more than that of a person with a typical immune system. So many of today's rising ailments : asthma. Autism, ADHD, cancers etc.. are a result of these toxic guts. The current food practices play an enormous role in these issues. In our daughters case, she holds onto toxins and has an exaggerated IGE response to milk. Her body holds onto chemicals, dyes, pesticides- toxins in general that, therefore, affect her allergic reactions from going away in a reasonable time. This was the first time it made sense. It made sense that her allergic reactions would subside then reappear day after day within our isolation of foreign exposures. Dr. Cannizzaro also said the first thing we needed to do was eliminate the added chemical obstacles that her body has to work cleaning through. We've all heard about eating clean, THIS is what that means. After years of avoiding and doing the same things and getting the same results, we finally had real answers and advice-- so organic, non-GMO we became to take our efforts a step further. The payback was immediate! Each time we leave the house she usually has some level of an allergic reaction. This Doctor had advised this organic, non GMO diet to start with since this would be the biggest and hardest thing to change entirely. He then said to make sure she was always drinking water, a natural detoxifier, and to put her in Epsom bath soaks to detox through her skin ( the integumentary system is our biggest organ), especially following a reaction. We added two things that we learned from a local natural health store owner/healer: daily vegan probiotics and 5000 mg daily of absorbic acid crystals (raw vitamin C). Probiotics, to keep her system fully flushing toxins daily and regularly. Vitamin C because it's an amazing and natural antihistamine, antibiotic, and antioxidant. It's really been downplayed regarding its amazing qualities. We literally mix raw vitamin C, Absorbic acid crystals into a mini shot glass sized cup with juice and take a "shot". We can literally see instant results by doing just this for her allergic reactions--like within 5 minutes her symptoms are subsiding, instead of waiting 15-20 minutes for the Benedryl to work. It's immediately absorbed sublingually and diminishes the histamine response from the red blood cells bursting around her lungs. In our, brand, one teaspoon equals 5000 mg of the vitamin. A vitamin we don't store naturally in our bodies and we desperately need. As previously mentioned, Vitamin C is a natural antibiotic, antioxidant, and has ample case studies easily locatable online about how in megadose concentrations, it's curing cancer! It's worth a try, right? Living with a life threatening food allergy has created a specific connection to one another within our household, and others within the food allergy lifestyle. 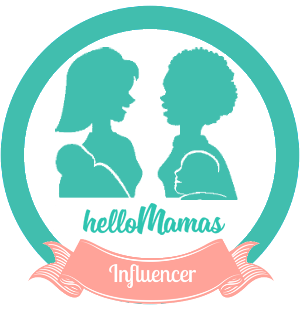 We've met so many others just in our area through Hello Mamas www.hellomamas.com. We have family discussions that last hours, and our needs really make us have to work as a team. I always refer to my family as a team because all families are, some just don't realize it, or use the power in it. I've found that this motivates children to want to find their place/role and be helpful. It makes them feel part of what's going on and feel a natural sense of responsibility each day. When a child cleans up their room, they're more likely to appreciate the work it takes to maintain a clean home. When my 7 year old is having an allergic reaction, my 4 year old runs to her side and helps any way I need her to. She has compassion, something that is taught through the example of others early in life. Compassion is not feeling sorry for someone. It's being deeply touched by someone that inspires your heart to act in a proactive way for them- not for your own self elevation. I know compassion is a learned trait by the comparison of other children who undervalue or taunt my food allergic daughter. Someone in their home has expressed a lack of concern or compassion and introduced their perception toward food allergies-- that carried over to the child. In example, I know of a child who loves cheese and crackers. Each time we would be in their presence, the child would ask for her favorite snack and her mother would tell her she had to go without because of my daughter. This sends the message that, being around us-means "sacrifice." This sends a message to a child that doing something for others and not yourself is a negative thing. Instead of saying to their child " I don't have that snack today, but I do have x-y-z "(all safe of course), leading the child to understand there are other options in life and people that are different and THAT's O.K. It really is no different than saying you can't go play soccer because your friend is in a wheelchair-- it's just horrible and thoughtless. It really makes me thankful for the resources we have through Hello Mamas and Food Allergy Resources & Mentoring. As I see the progression of awareness of food allergies, it brings me hope for my daughters future.